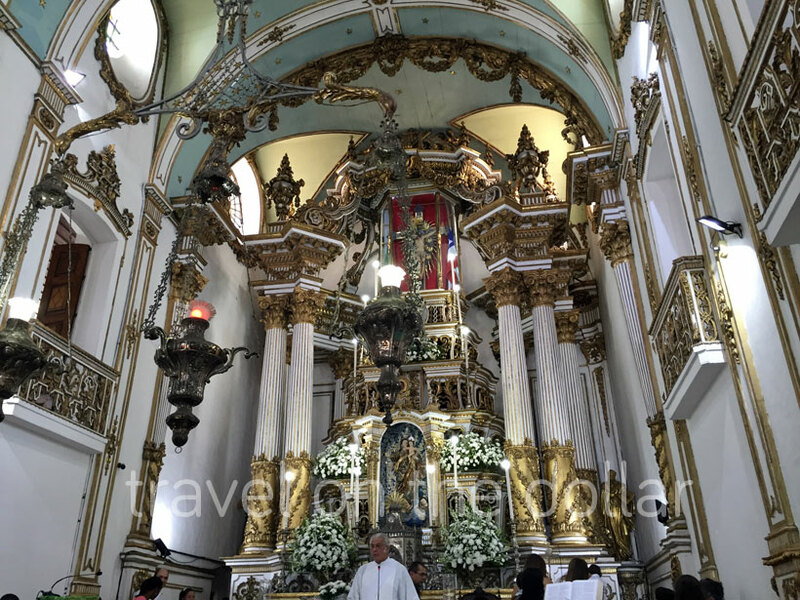 After exploring the old town (Pelo) of Salvador, I wanted to explore the new town (Barra) along the southern coastline of the city, but before that I decided to travel north to Basílica do Senhor do Bonfim (website), the most famous of the Catholic churches of Salvador which is built in 18th century and is the site of a famous celebration held every year in January (Festa do Senhor do Bonfim). 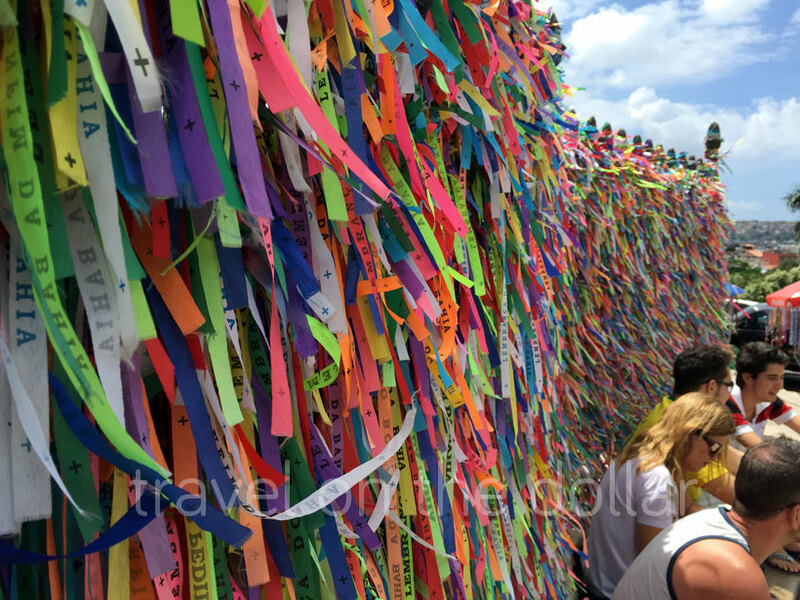 Fita do Senhor do Bonfim (English: tape of Lord of Bonfim) is a souvenir and popular amulet that can be found being sold by street vendors around the Church. The fashion accessory is made from cotton and has the phrase “Lembrança do Senhor do Bonfim da Bahia” (Remembrance of the Lord of Bonfim of Bahia). The term has religious connotations and refers to a representation of Jesus. A lot of buses go from bus stops outside the Mercado Modelo. Just ask anyone at the bus stops for the number. It costs BRL 3 one way. But if you are in a group then one way taxi would cost BRL 50. Accompanied by fellow travelers from the hotel, we decided to take taxi from the bus stop right outside the lower end of Elevador Lacerda. After returning to Pelo, we decided to have lunch in Pelo, before heading out to Barra. 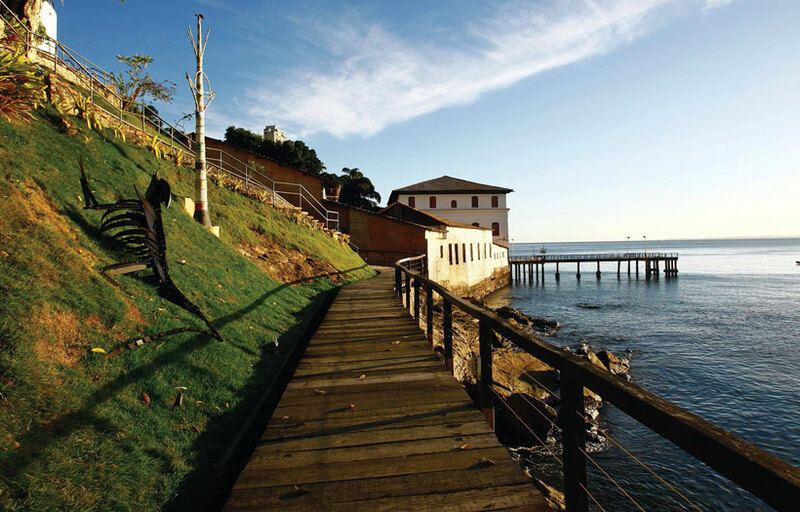 One of the best ways to explore Salvador is to walk south along the coastline on Av. Sete de Setembro, all the way to Barra. 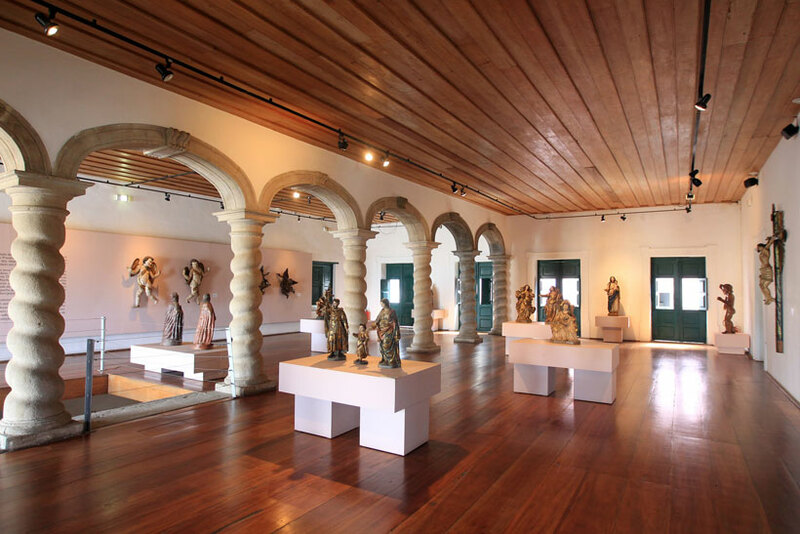 So we got down the Elevador Lacerda and walked to Museu de Arte Moderna da Bahia (MAM), also known as the Museum of Modern Art of Bahia. Note: this road is not safe to walk in the night, so if you find yourself in Barra all day and need to head back to Pelo in the dark hours, then get a taxi (costing BRL 40 one way). 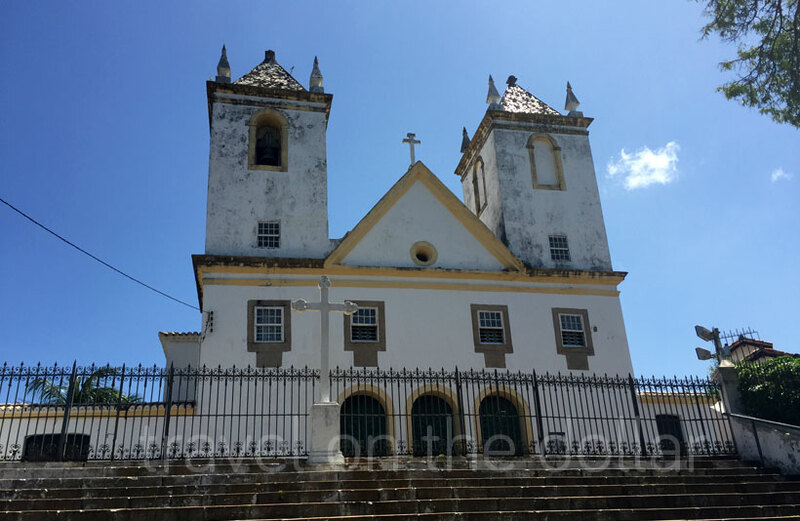 Walking along the coastline for about 40 minutes brings you to Igreja Santo Antônio da Barra, a historic church founded between 1595 and 1600, is on top of a hill with panoramic views of the Bay of All Saints. 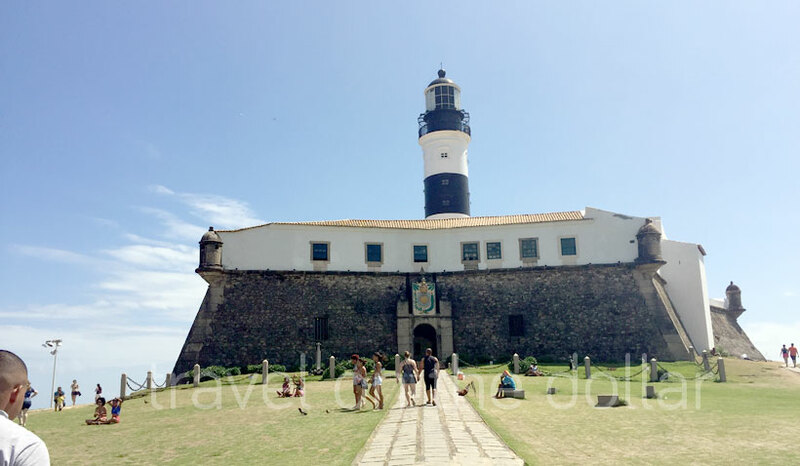 Walking further south for another 15 minutes is the southern tip of Salvador at Farol Da Barra (Museu Náutico da Bahia). 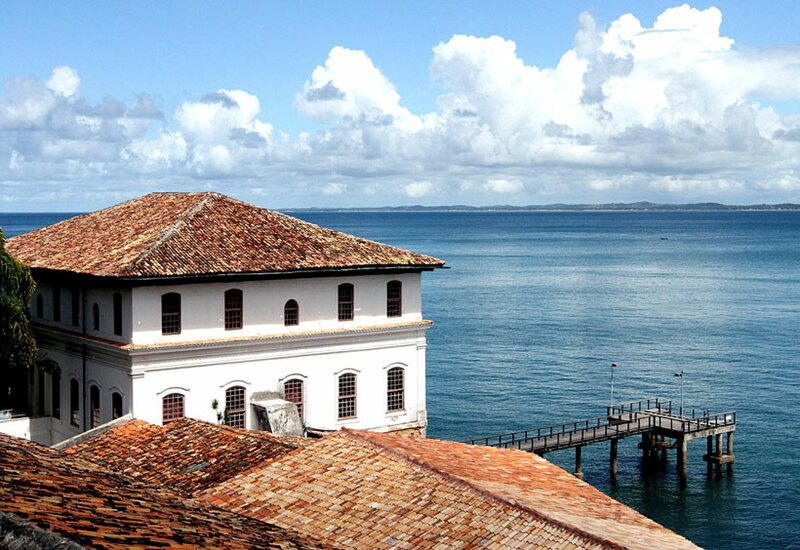 This iconic lighthouse & 16th-century fortress houses a nautical museum and is best known for sunset views. It was almost late afternoon after visiting the nautical museum, so we headed east on the coastline and relaxed at the Praia do Farol da Barra beach. 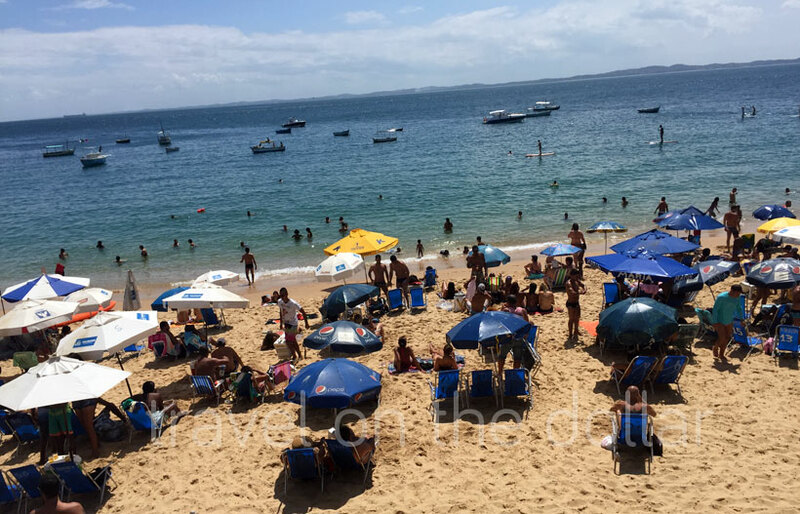 Sundays bring the locals to this crowded small beach that starts from Farol da Barra and extends to the hill of Christ, where an image of Christ the Redeemer lies. Past sunset, we walked around the neighborhood and took a taxi back to the hostel in Pelo calling it a day. 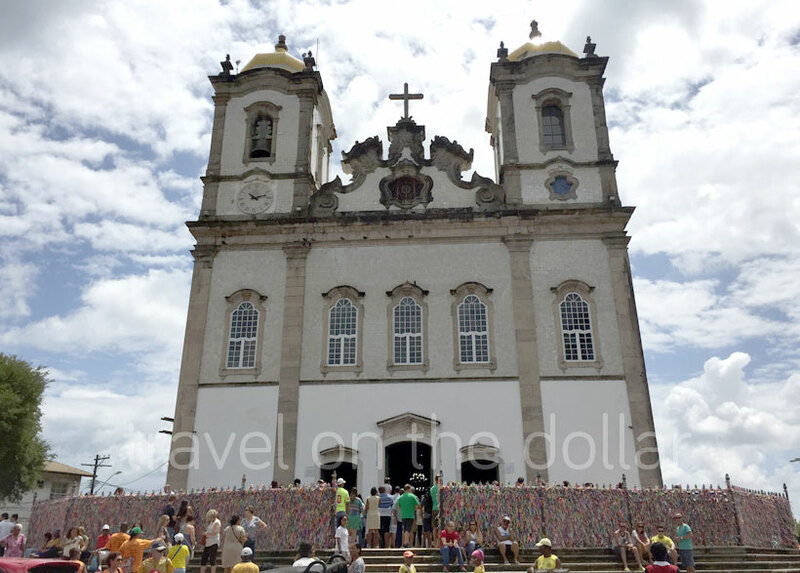 Taxi from/to Basílica do Senhor do Bonfim $8.84 BRL 33. Costs BRL 50 one way per taxi. Hence BRL 33 per person for two way. Lunch on street side $4.02 BRL 15. Coconut water $2.14 BRL 8. Twice, BRL 4 each. Elevador Lacerda $0.16 BRL 0.60. Return. Taxi from Barra to Pelo $2.68 BRL 10. One way taxi is BRL 40, for four persons.